According to a recent news feature from the Huffington Post, a 76-year-old man was arrested in 2014 on what is allegedly his 10th drunk driving charge. While, if the allegations are true, being arrested 10 times for driving under the influence of alcohol is news enough, but that is not why this incident is making headlines. Authorities say they pulled over defendant after allegedly observing his pickup truck cross the centerline of a highway. When they pulled him over and approached the vehicle, deputies say they immediately noticed the smell of alcohol on defendant’s breath. At this point, officers asked him to exit the vehicle, so they could administer a set of standardized field sobriety tests (SFSTs). SFSTs are the only field sobriety tests approved by the National Highway Traffic Safety Administration (NHTSA). After decades of research conducted in laboratories and on the scene of roadside vehicle stops, NHTSA developed a standardized battery of tests designed to determine if a person has a breath alcohol level over the legal limit. In the Commonwealth of Massachusetts, and across the United States, the legal limit is 0.08 grams of ethanol per hundred milliliters of blood. Ethanol is the chemical name for alcohol people consume in the form of a beverage, as opposed to isopropyl alcohol, which is used in most medical applications. It should be noted that isopropyl is poisonous and was used intentionally during prohibition in medical applications to prevent people from drinking it, and it is still used today. However, there have been many cases where severe alcoholics will drink rubbing alcohol, and they have been involved in serious Boston drunk driving accidents after drinking it. As for the defendant in this article, after allegedly failing the standardized field sobriety tests, he denied having any alcoholic beverages, but he said he ate beer battered fished earlier in the day. When he was later asked to take a breath alcohol test, he blew a .062. While this is below the legal limit of .08, in his state, any person who has three or more convictions for drunk driving cannot blow over a .02. This is essentially a no-tolerance limit. It could be 0.0 but since the average breath alcohol testing machine has a margin of error or of plus or minus .02, so this removes that as a defense to a drunk driving charge. 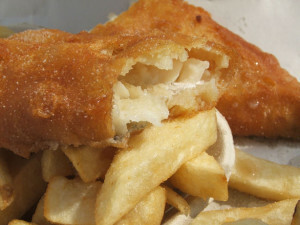 His case recently went to trial, and the jury did not believe his story about eating the beer battered fish. One of the reasons for this is when beer is cooked it typically releases any alcohol, as would likely be the case when it is dropped into a deep fryer that is around 370 degrees. Even if person had a BAC of below the legal limit, this does not mean it is safe to drive. If a person is in involved a drunk driving accident, but has a BAC of .04, they may not get arrested in the Commonwealth of Massachusetts, but this does not mean you couldn’t use the fact he or she was drinking to prove a civil car accident lawsuit.